Our veterinarians are trained in both manual and ultrasound pregnancy testing in Beef & Dairy Cattle. 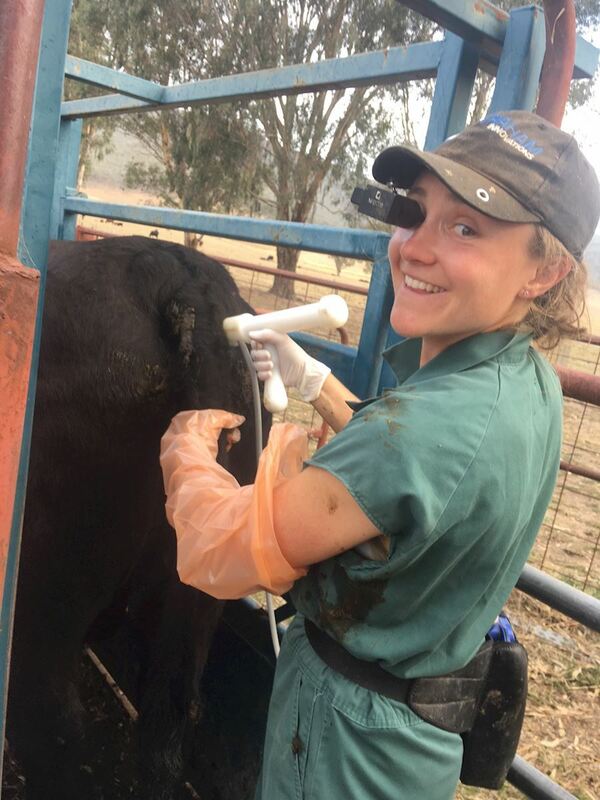 Also three of our vets; Dr Joe Skuse, Dr Jack Killalea and Dr Verity Ambler are accredited with PREgCHECK the national cattle pregnancy diagnosis scheme run by the Australian Cattle Veterinarians. The scheme promotes excellence in pregnancy testing and allows accredited persons to place tail tags for special “red tag” sales. This can be performed at any time of gestation from 6-8 weeks until full term. It is 100% accurate as to whether a cow is pregnant or not, and does allow for calving dates to be predicted. The optimum time for pregnancy testing with ultrasound is between 6 and 14 weeks of gestation. Therefore it is recommended that cattle are tested 6-8 weeks after the end of AI. between AI & bull matings. To ensure accuracy, cows diagnosed as empty with the probe will be checked manually to confirm the diagnosis. This means in some scenarios (for example large numbers or pregnancy testing on a rotary during milking) we will operate with two vets, one on ultrasound, the second to manually check cows that are empty on ultrasound. There is no extra fee for having the second vet there. -less discomfort for the cow and the operator. We would highly recommend ultrasound pregnancy testing as an important tool in managing your herd’s reproduction. We advise talking to one of our vets about your individual needs to arrange a pregnancy testing process that best suits your business. If you have any questions about the process please do not hesitate to contact us. We also offer pregnancy testing in horses, sheep, alpacas and dogs via ultrasound.